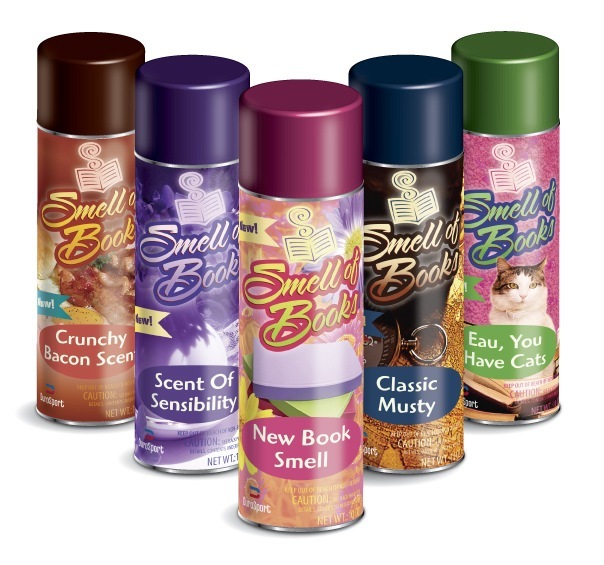 Smell of Books spray adds to e-book reading experience. Another e-book problem solved, this time by Smell of Books aroma spray. I would probably go for Classic Musty Scent, but Eau, You Have Cats sounds promising. From the looks of the site, they’ve done some extensive e-device compatibility testing, but please note from the warnings section that Smell of Books is not for use with “real” books, nor with a Zune!